Christmas long-gone, and still winter drags on! By February, it’s getting beyond a joke. As my friend Mary used to say, there’s a reason why they only gave it twenty-eight days. Still, we’re getting there. The snowdrops are out. The ash trees are beginning to bud. Dunnocks are starting to do unspeakable things beneath the shrubs. Spring is most definitely on its way. The view over my garden wall on Monday. NME: ‘My life with Mark E Smith’—former Fall member Brix Smith Start shares memories of her relationship with the ‘complex, brilliant poet’. Extracts from Alan Bennett’s 2017 Diary appeared on The London Review of Books website. You can also listen to him reading the extracts. It turns out Carl Linnaeus, the father of biological taxonomy (Homo sapiens, and all that), also had a hand in inventing that most useful of categorisation tools: the humble index card. Researchers have begun working on Akenfield Now, a project that will coincide with the 50th anniversary of Ronald Blythe’s classic book Akenfield. As with the book, the project will draw on oral histories recited by people who have grown up or lived in the area for much of their lives. A handy potted account of what we currently know about human evolutionary history. A fossil, dated to nearly 200,000 years ago, is almost twice as old as any previous Homo sapiens remains discovered outside Africa. An informative, scary piece about flu epidemics. Like other naturalists of his time, Charles Darwin’s documentary tool was the written word. During the Beagle voyage, he drew many of his words from a slim volume entitled Werner’s Nomenclature of Colours, published in 1814 by the Scottish artist Patrick Syme. A typically thoughtful video by photographer Sean Tucker on the challenges of being an introverted freelancer. Harvard University Library has digitised Virginia Wolf’s photograph album and made it available online. To mark Charles Darwin’s 209th birthday, I wrote a piece about how the ghost of his friend John Tyndall (probably) helped solve the mystery of a morbid inscription I found in a book of Tyndall’s essays. …wonderful. 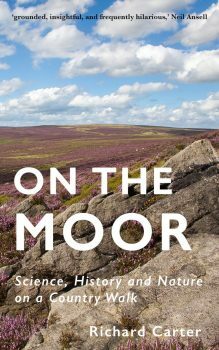 Science and history and geography and evolution and culture all tangled up in musings while walking about the moors around Hebden Bridge. 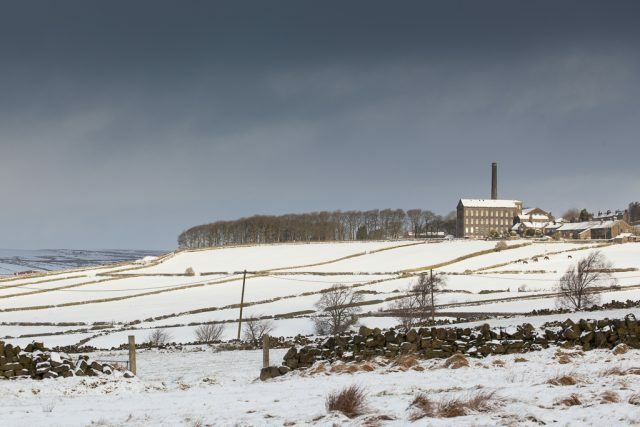 There’s much to enjoy in Richard Carter’s pean to the frugal yet visceral delights of being one with England’s Pennine moorland. If this were all there were to the book it would have made a good nature read, but Carter cleverly weaves in science at every opportunity, whether it’s inspired by direct observations of birds and animals and plants […] or spinning off from a trig point onto the geometric methods of surveying through history all the way up to GPS. What do you mean you haven’t got round to buying a copy of On the Moor yet? What happened to the New Year’s resolution? That yacht isn’t going to buy itself, you know!